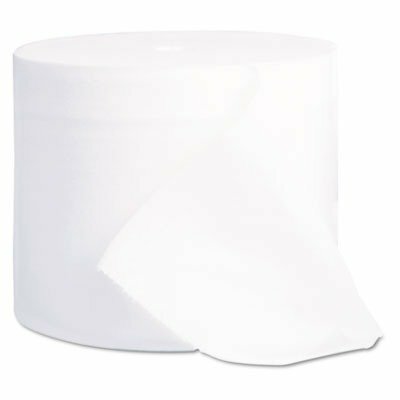 Coreless roll means more tissue per roll. Fits Kimberly-Clark Professional* Double Roll Coreless Tissue Dispenser (KIM-09604, sold separately). View More In Toilet Tissue. If you have any questions about this product by Kimberly-Clark, contact us by completing and submitting the form below. If you are looking for a specif part number, please include it with your message. KIMBERLY-CLARK PROFESSIONAL* SCOTT Standard Roll Bathroom Tissue, 1-Ply - Includes two packs of 20 rolls of toilet tissue each. KIMBERLY-CLARK PROFESSIONAL* KLEENEX COTTONELLE Two-Ply Coreless Bathroom Tissue - Includes 36 rolls of 800 sheets each.